Entrepreneurs are considered leaders with vision and exceptional ideas that take strengths of the company and employees together for achieving goals of the organization. Leaders of a new business usually take the responsibility of success or failure of the business upon themselves. The most prominent risk faced by any company is serious business debts. Numerous examples of failures of new companies in the corporate world show us that there is a difference between entrepreneurs and capable leaders. Many entrepreneurs have great ideas, but they lack the necessary leadership skills and proper bookkeeping for execution of these ideas with adequate team management. The central role of a leader in a startup is not just generating ideas. Taking the team and organizational resources currently available to execute plans is a core leadership skill. Team building is another essential skill that leaders must possess to make their company a successful endeavor. The most significant strength of any leader of a new business or startup is the ability to make crucial decisions in a short and limited time. Scientific research by experts at Harvard indicates that true leadership capabilities are determined when people are under duress. For example, how well does a leader handle their serious business debts? Procrastination in leaders is not an ideal trait for running a new business smoothly. The leader needs to be vigilant and close to employees in critical times. Keeping the employees close and explaining to them the principles of proper bookkeeping makes for excellent leadership skills. A significant strength of a new business leader is the art of managing people in teams to lead the company to achieve its goals and objectives. The difference between a failed venture and a successful one is selecting the right side. When the new start-up business is going through turmoil and faces dangers of serious business debts, a successful leader will be aware of how his team members are handling their reactions in stressful situations. A successful leader will also be able to lead by example and control his/her reactions to stressful situations. Without proper guidance by the leader, the team will collapse and eventually cause the company to fail. Instead, the main strength of the company and its leaders is to use the positive attritubes of each team member in different environments. The leader of any new startup must rely on their skills and focus and improve on their decision-making skills, because these traits are unique. Another important aspect of company strength is to stick with the founding team of the company when facing serious business debts. Dealing with managing debts and similar critical business scenarios brings out the best and worst traits of teams and leadership. It is important to rely on the strengths of each team member and communicate the problems wisely. Communication skills of a leader in a new business are important because the leader must be able to communicate all the necessary information needed for proper bookkeeping. The strength of a successful leader is to align the dominant and distinct features and abilities of teams. The team must feel comfortable in sharing their ideas to make the new company successful. For this purpose, the roles assigned to groups must be flexible and according to their individual abilities. Developing the new venture in the current volatile corporate environment is necessary for the leader and the team. The focus must be on getting new clients and adding more business while focusing on minimizing serious business debts. Customer retention as a core strength of a new company depends on adequately communicating the client’s needs by business leaders to their team. Some client needs are complex and need more communication between groups and the leader. Effective leadership is essential for new business ventures, the undeniable fact of skilled leadership leads to better management of the team. Proper team management is a major strength for the new business to overcome their challenges. 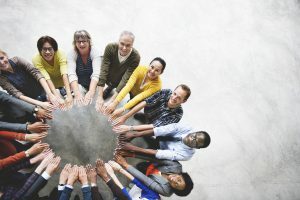 The success of the company is just a fraction of good performance by the leader, but it is more dependent on the role of team members and their efforts.